Shallotte, NC- August 1, 2012 - WT Cox Subscriptions announces immediate plans to change their company name to WT Cox Information Services. "For over 38 years WT Cox has focused on print and electronic subscriptions. As the industry has evolved and additional information services have become available, we have also expanded our offerings. We now provide over 3 million eBooks, database options and Journal Finder, our exclusive A-Z Link Resolver and ERM. Our name change better demonstrates our ability to offer these products as well as our plans to expand in this direction over the coming years," said Michael Cox, President of WT Cox Information Services. The serials market has changed to an increasingly electronic environment over the last decade. This change often requires libraries to utilize multiple resources to expand their collection and to serve patrons more effectively. By partnering with WT Cox Information Services, libraries can now explore several options to fill these needs. Customers also benefit from streamlined online management tools which have been specifically structured to capture the additional data elements required to support the acquisition, access and management of online resources. "This is a positive change for us all. 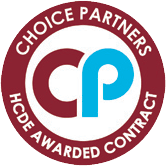 Customers have additional options available and will continue to receive the outstanding service that they have become accustomed to. This will never change!" said Michael Markwith, Vice President of Sales and Marketing. WT Cox Information Services is located at 201 Village Road, Shallotte, NC. Founded in 1974, WT Cox serves Academic, Corporate, Special, Government, School and Public libraries nationwide. 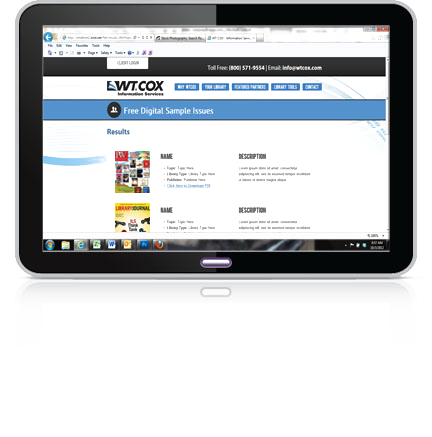 WT Cox offers a portfolio of services that include print and electronic subscription access, eBooks, an ERM solution, online management tools and free service proposals. 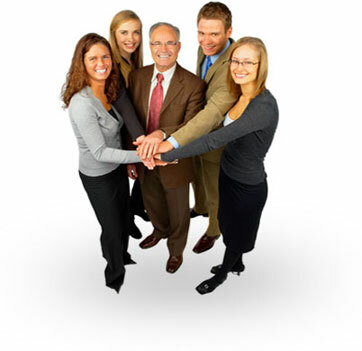 The Corporate Communications team may be reached at (800) 571-9554 x263 or by visiting www.wtcox.com.